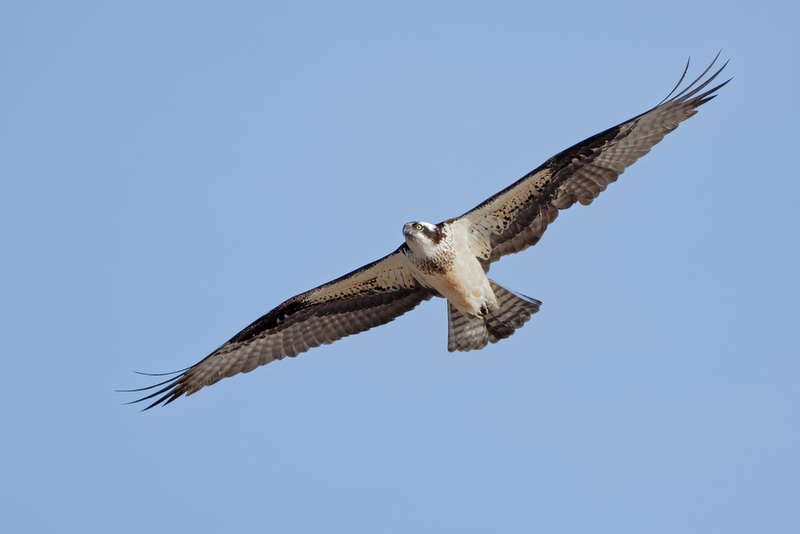 Our favorite Osprey Lady is back from Argentina. She was spotted and ID there based on her ring on the leg. She was born a few miles up river and has been nesting here for the last five-six years. The mate has not arrived yet as of yesterday. Nesting season has begun here in the Northwest as well. Great news, Karl. Can't wait to see your images of her through the nesting season. Good to see this beauty again, Karl! A lovely shot. I am amazed a year has gone by already! Nice shot. Sadly, the male at one of the nests I watch did not return this year. The female is back with a new mate.